Publicado el 6 septiembre 2012 por CustomizeMe by Andrea D.
Para la temporada primavera/verano, Kosiuko se sumó a la tendencia Neón y armó una colección con mucho color. 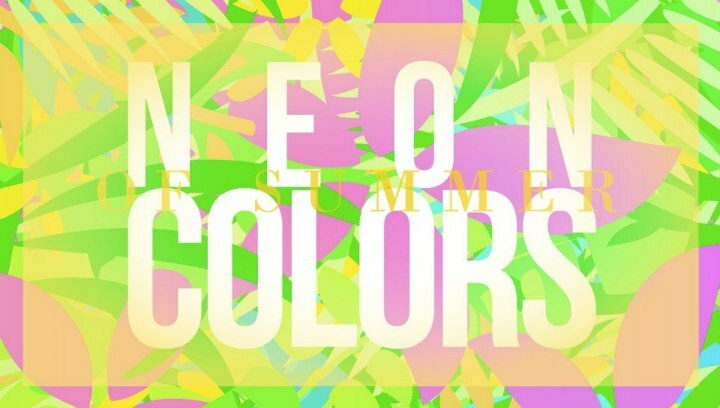 Sigan el siguiente link para ver más: Neon Colors. Esta entrada fue publicada en Fashion, Fashion News y etiquetada colors, kosiuko, neon, neon colors, summer. Guarda el enlace permanente. Thanks!!! Hope to see you often! Quality content is the key to attract the users to go to see the site, that’s what this web site is providing. Hey! thanks for your comment, I really appreciatte it! design, not to mention the content. You’re an expert in this topic! Hey! Thanks 4 ur comment! simply because I discovered it for him.. Hey!!! Thanks!!!! See you soon. specialists of this sector don’t notice this. You must proceed your writing. I am sure, you’ve a great readers’ base already! Your wellcome!!!! Hope to see you around! Thanks! I keep looking everyday on the net for new information. But don’t worry, everything I find I post it! This is the second time I’ve been to your site. Thnx for explaining more information. Your wellcome!!! Hope to see you regurlarly! Thanks for your visit! Hope to see you around! Hi there to every body, it’s my first visit of this webpage; this webpage contains remarkable and in fact excellent data in support of readers. Wellcome!!! And thanks for your comments!!! Alle denken fast immer nur an das Eine. Yes, I know, there is a lot to learn and say, but I beleived in giving information in small paragraphs, to get to more audience! Your wellcome. Hope to see you often around! am having troubles with your RSS. I don’t know why I am unable to subscribe to it. Is there anyone else getting similar RSS issues? Anyone who knows the answer will you kindly respond? Thanx!! Thanks for your comments!!! I’ll check on the rss. Another option, is to follow my facebook page http://www.facebook.com/CustomizeMeNews everything is post in there and if you “Like” the page, all the news will appear on your face! Regards!